What makes a high performing salesperson? 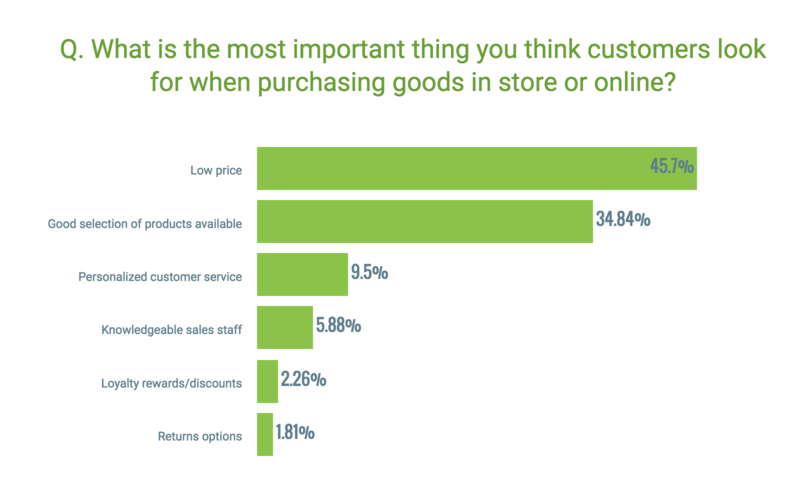 A recent study of 250 salespeople carried out by the CRM reviews company, GetApp suggests that modern sales strategy may not be as far removed from the old, ‘Always be closing’, as we may have thought..
Only 5% believe that potential customers prioritize knowledgeable sales staff. How are you uniquely positioned to meet the needs of your customers? How do you differentiate your product offerings? Are your salespeople invested in building strong customer relationships? There are some crucial aspects to achieving this: understanding your customers, having a coherent sales strategy and process in place and having the tools that will allow you to shape the way your customers purchase your products. No matter what business you’re in, it starts and ends with strategy. What does your customer journey look like? How long is your onboarding period? What is your customer LTV by market segment? 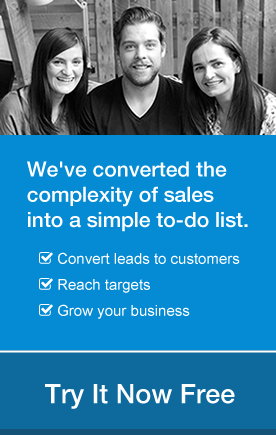 How do you prioritise your leads? By setting clear & measurable strategic goals, you’re empowering your team to take action. Only 15% of sales people have adopted social selling into their sales strategy, with the majority still invested in the traditional prospecting channels of email & phone. According to Sales Benchmark Index, sales reps who incorporate social media into their process acheive 66% higher quota attainment. What’s more, Oracle research found that it costs 75% less to generate leads via social media than any other channel. The data is clear, salespeople who fail to use social media to generate leads are missing out on a huge opportunity to improve their selling process. 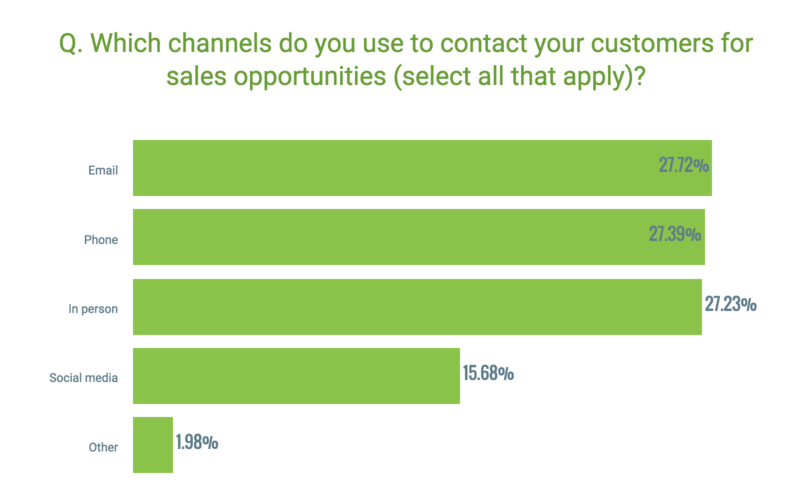 The traditional prospecting methods of email (27.72%), phone (27.39%) and face-to-face meetings (27.23%) continue to trump all others, suggesting more needs to be done to get salespeople on board with this new prospecting channel. Consultative sales training proves most effective for the long-term engagement of employees. With a report by eLearning concluding that continuous training gives 50% higher net sales per employee. 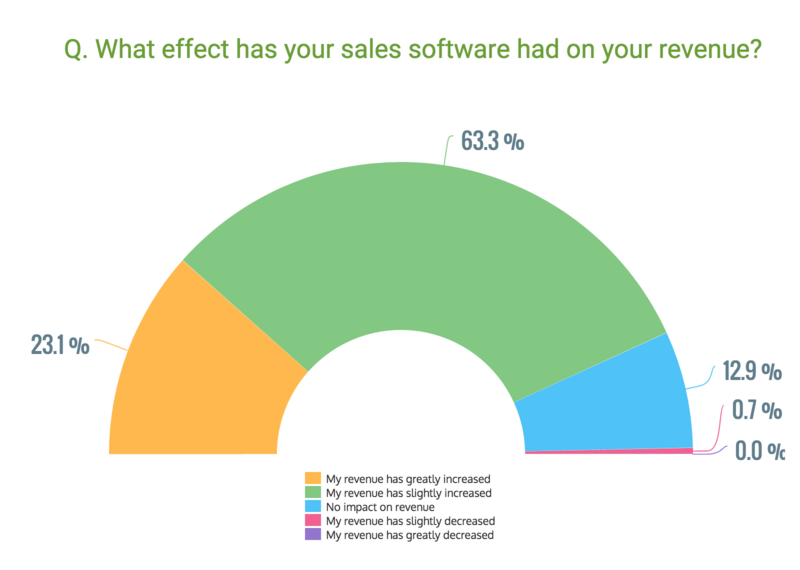 Almost 90% of respondents have seen an increase in revenue since they began using sales software. Armed with all the data and analytics, these businesses can take smart decisions to increase their revenue. 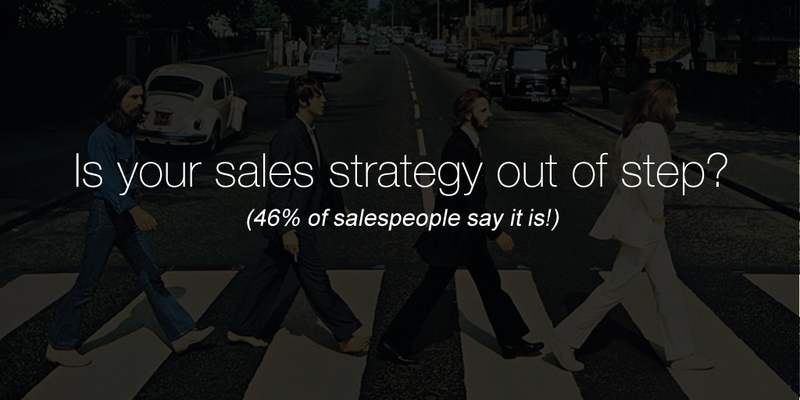 Nearly 95% of those using sales software have seen an increase in productivity. By automating time-consuming manual processes, sales people have more time to focus on selling! More than three quarters (78%) of the GetApp survey participants, have seen an increase in customer satisfaction through using sales software. By keeping a detailed history of all customer interactions, they can personalize their sales approach, while building long term relationships with clients. Copy and paste the following code to your website. As Digital Marketing Coordinator at OnePageCRM, Laura is responsible for overseeing content creation and promotion. Laura is passionate about all aspects of inbound marketing, from content creation, to SEO & conversion tracking. Other interests also include travel, discovering new cultures and languages.